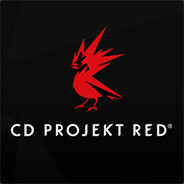 CD PROJEKT RED is a development studio founded in 2002. Our mission is to tell emotional stories riddled with meaningful choices and consequences, as well as featuring characters gamers can truly connect with. You can now get The Witcher 3: Wild Hunt Game Of The Year Edition 60% off! Additionally, other games from The Witcher franchise are up to 85% off on Steam! Discover a brand new RPG from the creators of The Witcher 3: Wild Hunt. Facing an imminent invasion, Meve — war-veteran and Queen of Lyria and Rivia — is forced to once again enter the warpath and set out on a dark journey of destruction and revenge.